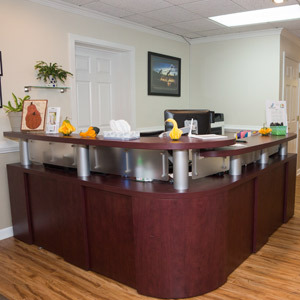 When you walk into Performance Chiropractic, the first thing you’ll notice is the smiling face of one of our team members warmly greeting you. You’re being welcomed into your future, your potential and your new extended family. Please help yourself to some fruit, and know that you’ll be seen promptly. We always respect your time. Though we collect the same basic information any medical office requires, expect to be treated differently. You’re an individual, not a number or a “condition.” We’re here to assess your unique needs and to treat you as a unique person. We’ll relate the findings of the exam to you, answering all your questions and discussing all your options. You’ll then receive your first treatment. Your care plan might include chiropractic adjustments, acupuncture, massage therapy or a combination of approaches. Most of our patients receive exercises and/or advice on what to do at home or at work to help make success more likely. 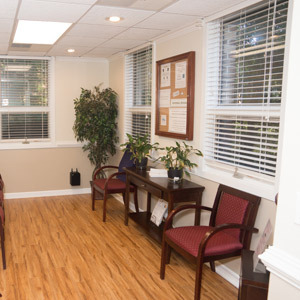 Our staff will schedule your treatment plan according to the doctor’s prescription. New patient visits typically take about an hour. If you’re on an active chiropractic treatment plan, your following visits will take about 15 minutes in total, or 30 minutes if you’re receiving acupuncture. You’ll receive your treatment and complete any therapeutic exercises with one of our technicians — and then we’ll get you back to living your life. Patients don’t live to see us, they come to us so they can live life to the fullest! Acute Phase of care. Our main focus is getting you out of your “rut.” We’ll typically see you for 2-3 weeks, then assess your progress and reduce your visit frequency as needed. Patients in this phase typically report decreasing pain, if pain is what brought them in. Corrective Phase of care. Let’s keep a good thing going! We’ll continue to ingrain positive patterns and reduce the likelihood of a recurrence. 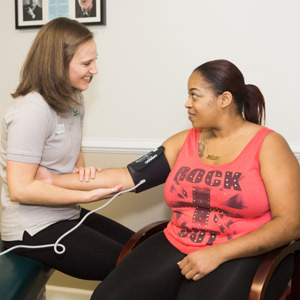 Patients in this phase are typically getting back to work, activity, and proper function. Elective or wellness Phase of care focuses on health and your true potential, not disease. 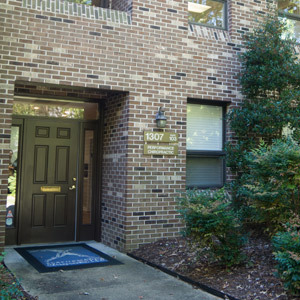 We want to make sure your quality of life stays at the highest levels in the coming years and decades. You see the dentist to maintain your teeth, and change the oil in your car to prolong its life. Keep your spine and nervous system functioning their best, and reap the rewards of a healthy and successful life! Your body is your home for the rest of your life. We want to empower you take care of it. Whether your goal is to avoid pain, function your best, or age successfully, we can help. How long you choose to take advantage of the power of chiropractic and/or acupuncture is up to you. Hopefully you have many habits that are good for you: Getting proper sleep, a healthy diet, proper hydration, etc. Hopefully you have a dentist to help you care for your teeth, for a lifetime. Chiropractic care and acupuncture are similar. 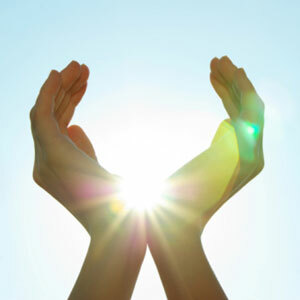 We want to be a part of your successful, vibrant living and aging process. We believe that health care is a partnership. Chiropractic isn’t a substitute for taking great care of yourself when you’re not here in our office. We seek to empower you with knowledge, educating you on every visit in evidence-based ways to maintain your health. Periodic workshops are also available, such as educational classes or gait analysis to help you run or walk more efficiently. Like our Facebook page, and stay in the know! As part of our commitment to providing exceptional and accessible chiropractic care, we are pleased to file Medicare, all Anthem Blue Cross Blue Shield policies, and any Blue Cross Blue Shield PPO products. We accept all Blue Cross affiliated plans, both state and federal, as well as Cigna PPO plans. Additionally, we are non-participating with other networks, but we do file everything for our patients’ convenience. Urgent, same-day cases are welcome. Contact us today!